Get the girls together for a day no one will forget with a Styling Party at Shear Salon. Our professional stylists will provide make-up and hair styling lessons for you and your friends, (minimum of 6), as well as food and beverages for all. At Shear Salon, we can create a look for you and your bridesmaids that you will treasure forever. We have been the stylists of choice for hundreds of brides and we will make sure the plan is well designed and implemented. Whether you want a traditional bridal party or something a little more trendy, we will work together to make sure your hair is the crowning touch of your special day. 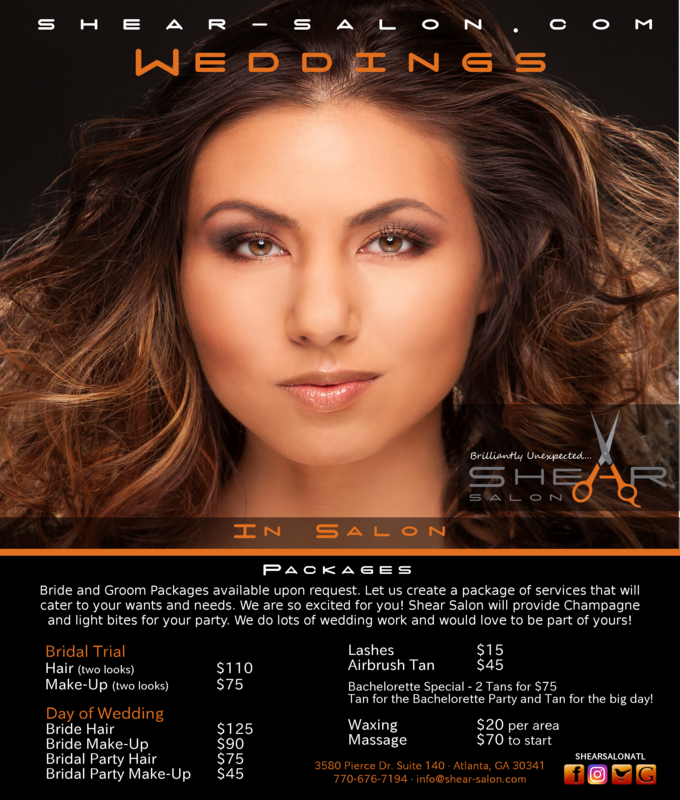 Many brides choose a package of services for themselves and also their bridal party and family members. All of our packages are customized to suit your needs. We offer on-location packages for both Bride and Groom wedding parties.